Beware of their door-to-door sales people! PROMISED - easy conversion, no out of pocket costs, current equipment would work, we would have all the services/features we currently had, all cancellation fees would be covered, current provider would be turned off, and we would have faster speed. The only thing that ended up being the truth was the faster speed. It has cost us over $2000 and we have 1phone line less with no call forwarding and they did not cover our contract fees in full. After 2 months of trying to get help from the salesman, local Spectrum store, and the toll free customer support I've yet to receive a return call from any person or manager nor has my issue even come close to being resolved. I thought I would be able to watch the Ohio State Game which aired on the TNT NETWORK....however, when I turned to the station it was blacked out...I called Spectrum and we did some trouble shooting etc., and nothing fixed the problem.... They eluded to it being a network issue something about the feed or what have you....I am truly outraged by this...no one could give me the why of this situation occurring and even a time frame as to the fix of this outage... You pay all this money for cable and the internet and this happens and no one can fix the problem...I also have in my home DIRECT TV....this was not an issue with their service...I want some answers and most importantly the TRUTH!!! Very upset!!! Spectrum is running a Basic special for $89+. By the time the extras are added ,the bill is $132! And keep in mind,this is only for 1 year , then the increase will be added and the total will amount to approx.$170! For “basic “ service? Buyer Beware! 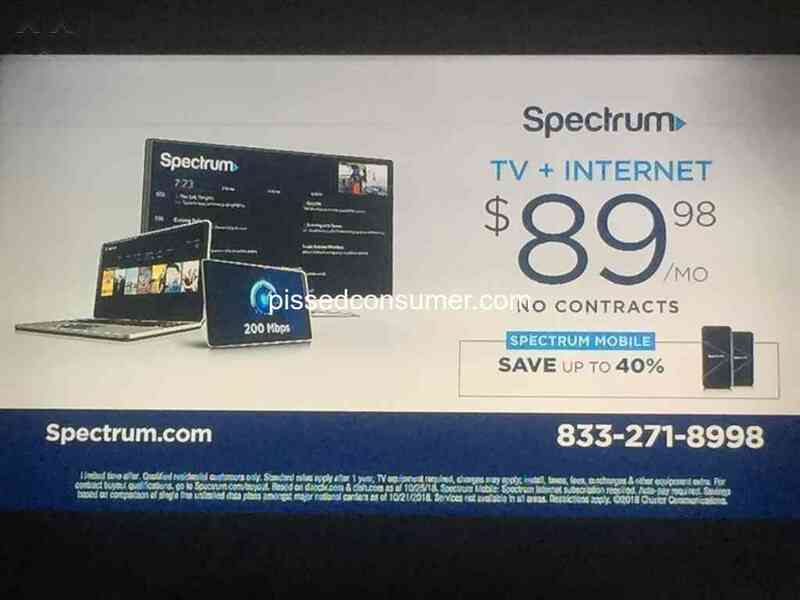 I ALWAYS have to watch my shows I miss on demand because I work nights I had made several calls to them about updating there system and there excuse is they have no control over that .I pay 153.00 a month which is not worth my money but we have no choice who we can chose .if anyone is having trouble report them to the FCC .that's what I did .we will get answers .